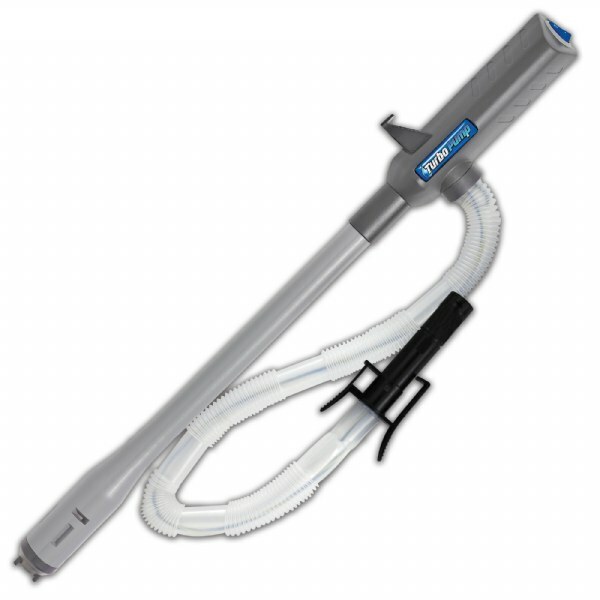 Turbo pump is the automatic, cordless powered, liquid transfer pump that easily lets you move liquids! 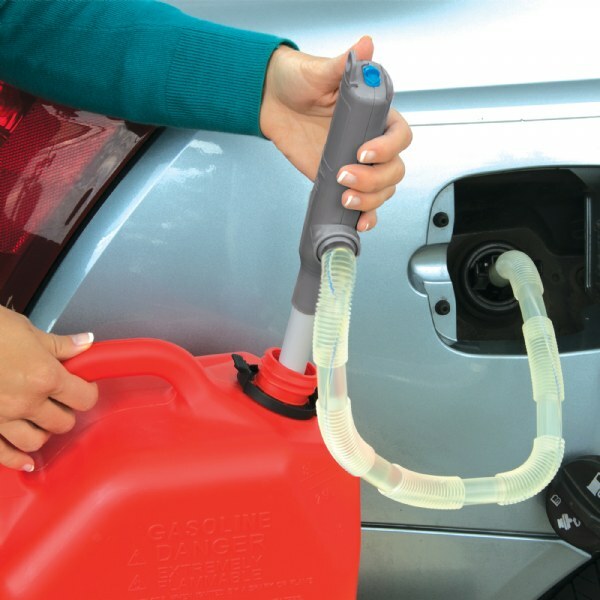 It takes the hassle out of filling gas tanks, refilling windshield fluid and so much more. And no more spillovers! 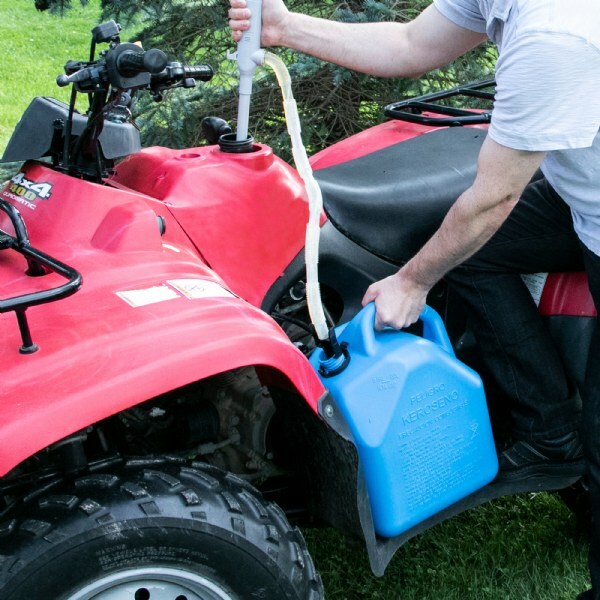 Siphoning can be dangerous and doesn't always work, but Turbo Pump does the siphoning for you, making it perfect for filling lawn mowers, yard tools, snow blowers, boats, generators, cleaning fluids, and more. And it's great for indoor jobs too! 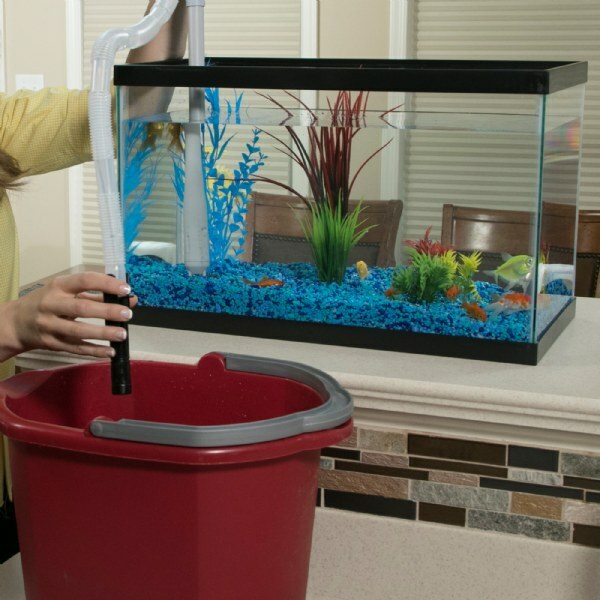 Drain clogged sinks or tubs in just seconds. Empty an entire hot tub in just minutes. Turbo Pump is ideal for winterizing RVs, motor cycles, lawn mowers, and more.